Mathematician Stephen Arthur Cook has been granted the BBVA Foundation Frontiers of Knowledge Award in the Information and Communication Technologies category for his important role in identifying what computers can and cannot solve efficiently. His work has had a dramatic impact in all fields where complex computations are crucial. "There are problems that a computer could feasibly solve, except that it would take until the sun burns out"
The BBVA Foundation Frontiers of Knowledge Award in the Information and Communication Technologies category goes, in this eighth edition, to Stephen A. Cook for his pioneering and most influential work on computational complexity. Cook’s work plays an important role in identifying what computers can and cannot solve efficiently. His concept of “NP-completeness” is considered as one of the fundamental principles in computer science. In his seminal 1971 paper “The Complexity of Theorem-Proving Procedures,” Cook gave a mathematical meaning to “efficiently computable”: a problem is efficiently computable if it is in the class P of problems computable in deterministic polynomial time. He also gave a mathematical meaning to “efficiently verifiable,” as in polynomial time, once a solution is given. An efficiently verifiable problem, if at all solvable, can be solved with a guess-and-check procedure by first guessing a candidate for a solution (the so-called nondeterministic guessing step), and then verifying efficiently that the guess is indeed a solution (the deterministic polynomial-time checking step). Therefore the class of these problems is referred to as NP for nondeterministic polynomial time. Cook established the now well-known P versus NP question as to whether or not every decision problem that is efficiently verifiable (in NP) can be made to be efficiently computable (in P) and conjectured (now known as Cook’s hypothesis) that P ≠ NP. The P versus NP question is now one of the seven Millennium Prize Problems. Stephen Cook showed that there are specific problems within the class NP to which all other problems in NP can be efficiently transformed. These problems are referred to as NP-complete problems. If one NP-complete problem can be solved in polynomial time, then all can. Today there are literally thousands of known NP-complete problems in fields as diverse as biology, physics or economics. Stephen Arthur Cook (Buffalo, New York, United States, 1939) holds dual American and Canadian nationality. Son of a mathematician and of a homemaker with two master’s degrees (in English and history), he was initially drawn to the applied side of science. While still a secondary school student he helped Wilson Greatbatch, inventor of the implantable pacemaker, to weld the circuits for the first prototype of the device. He enrolled in science engineering at the University of Michigan, where his parents had first met, but was soon excelling so much in mathematics that he switched his major, receiving his bachelor’s degree in 1961. His next move was to Harvard University, to pursue his postgraduate studies. At the time, he recalls, he was not that interested in computer science. Shortly, however, he discovered Alan Cobham’s papers on computational complexity, and ended up making it the subject of his PhD thesis, addressing the complexity of multiplication. After four years in the Mathematics Department at Berkeley, in 1970 he joined the Department of Computer Science at the University of Toronto, where he still holds a professorship, and one year later presented his seminal paper on “The Complexity of Theorem Proving Procedures” at the annual congress of the Special Interest Group on Algorithms and Computational Theory of the Association for Computing Machinery. The most celebrated problem in computer science, with a price on its head of one million dollars, was originally just another mathematical puzzle. Attractive and intriguing without doubt, but at bottom unpretentious. Not even its discoverer, U.S. mathematician Stephen Cook, was aware at the start of its full ramifications. The problem in question, P versus NP, turns on what a computer can solve in an efficient manner. Cook first formulated it in 1971. Back then the computer age was in its infancy, and the value of Cook’s contribution was not easily appreciable. But just one year later, another mathematician published a list of dozens of problems that, in practice, are beyond the reach of computers at the current state of knowledge. And their number was a lot larger than expected. Thus began the fame of Stephen Cook’s P versus NP. As a child, Cook did not know any mathematicians and, he admits, had “no idea what they actually did.” He had, however, taken a teenage summer job with the inventor of the implantable cardiac pacemaker, Wilson Greatbach, who lived in his home town. Encouraged by this experience and his curiosity about the new transistors appearing on the market, he enrolled for an engineering degree at the University of Michigan. This may be the reason why the Mathematics Department of the University of California, Berkeley, where Cook had been teaching for four years, failed to offer him a stable position. Richard Karp, of Berkeley’s Computer Science Department, has since written: “It is to our everlasting shame that we were unable to persuade the math department [to give him tenure].” In 1970, Cook accepted an offer from the University of Toronto. 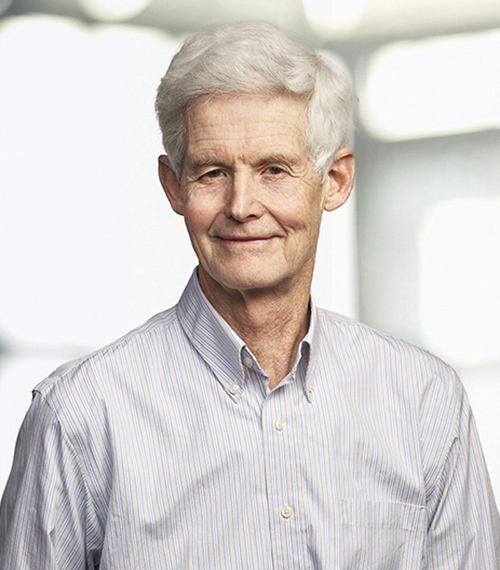 At that time “computers were relatively new, and it seemed natural to study which kinds of problems they could solve efficiently,” says Cook on the subject of why he chose his area of research. The efficiency issue is important. Many years earlier, Alan Turing had defined what computers can and cannot solve, in absolute terms. But it transpires that “there are problems that a computer could feasibly solve, except that it would take until the sun burns out,” Cook points out. Nowadays there is no doubting the admiration that mathematicians and computing experts feel for the father of P versus NP, one of the seven Millennium Problems for whose solution the Clay Mathematics Institute (United States) has offered a one-million-dollar prize. NP problems – the letters stand for non-deterministic polynomial time – are those which cannot be efficiently solved, while P problems can. An example of an NP problem is the case of the traveling salesman: how to find the most efficient route that he should follow to cover multiple destinations. What sets them apart is that the right answer can only be arrived at by testing all the options, a task that could take even the most powerful computer billions of years. But is there truly no algorithm that can solve the problem without all these calculations? Is there no brilliant shortcut that can make NP problems yield to a solution? This precisely is the conjecture posed by P versus NP. The answer, as we write, is a firm “don’t know.” It is possible that NP problems may actually be P problems in disguise, i.e., efficiently solvable problems for which no one has yet worked out a suitable line of attack. Cook’s central achievement was to identify a sub-class of NP problems which he termed NP-complete. These are “key” problems, because solving one of them efficiently would mean all NP problems lend themselves to efficient solution. Conversely, if it can be shown that there is no way to solve an NP-complete problem in a manageable time, then the door between P and NP will stay locked forever. Cook favors the latter option; that P and NP are not the same. What he likes most about mathematics is “the idea that you can prove a precise statement to be true, and there can be no rational argument challenging its truth.” But, for the time being, he will have to live with the fact that Cook’s conjecture inhabits the limbo of the yet unproven.